There is a wide range of après ski in Courchevel 1850 to ensure you are never bored during your holiday. Despite its reputation for being a quiet resort, visitors can find unbeatable choices, from chilled out live music venues to bars and clubs that stay open late into the night. There really is something for everyone! Chez Gaston – Formally known as Ku De Ta, this is the perfect place to unwind after a long day skiing and enjoy après. 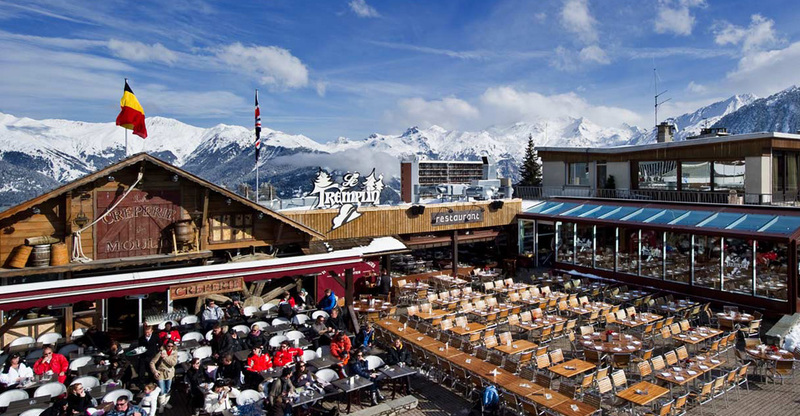 Located in the heart of Courchevel 1850, just opposite the central forum La Croisette, après kicks off at 4pm. With some of the best prices in this luxurious part of the Courchevel valley, you can enjoy your drink while looking out onto the slopes below. The fun does not have to stop there either, with food served throughout the evening. Once night falls the music carries on until 4am, turning into a lively but cosy night out atmosphere. If you only visit one place while on holiday in Courchevel, this should be it. Le Tremplin – This chilled out après spot is the perfect place to relax and enjoy a glass or two after a day on the slopes. At the bottom of a gentle green slope that brings you into the centre of Courchevel 1850, it is the perfect location for skiers of any ability, including those with children. They have a large outdoor terrace making it ideal for catching a few rays of sunshine before continuing on with your evening. They provide food service as well as drinks, also keep your eyes peeled for the local vans selling crepes and other snacks – perfect for those who are more budget-conscious! La Folie Douce – In addition to all that Courchevel has to offer for après, it also provides easy access to Meribel’s La Folie Douce. 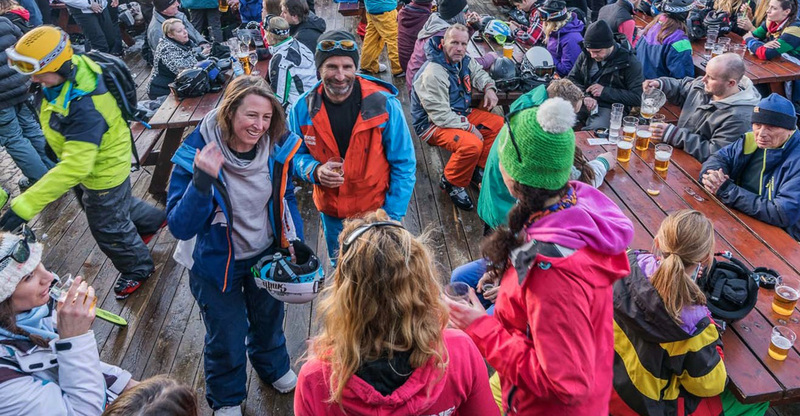 For those who cannot imagine a ski trip without a visit to the famous – or perhaps infamous – mountainside après bar, it is only a short ski over the mountain and down to Meribel to grab a table and dance the afternoon away. The Saulire lift provides a route home without worrying about getting a taxi – just listen out for the last call! 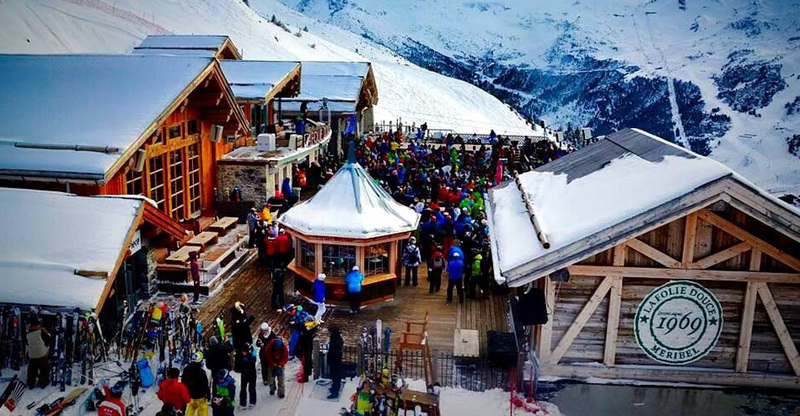 La Folie Douce is an iconic part of ski holidays in France, with pounding music and unrivalled performers. This theatrical après bar will undoubtedly be a memorable part of your holiday. Pub le Ski Lodge – Just off the Folyères piste that brings you into La Tania, this is the ultimate stop for live music during après in the Courchevel Valley. Live bands play from 5pm on Wednesday, Thursday and Friday, and from 10pm on Monday and Tuesday. Check out their website to see who is playing, our favourites being the legendary ‘Bring Your Sisters’ and the unmissable ‘THE DOMINOES’. With a heated outdoor terrace and cosy pub style interior you can enjoy the music whether it is a whiteout or blue skies for miles. As well as its amazing après, they also offer the friendliest service. This is all topped off with an affordable menu, and an unrivalled range of beer. Le Bubble Bar – The centre of après in Courchevel Moriond, this bar has a relaxed vibe and, with its ski in location, is the ideal way to end a day’s skiing. With everything from toffee vodka to chilled out pub nights complete with food, they offer whatever kind of an après experience you are looking for. They are best known for their live music nights, with bands playing on Sunday, Tuesday, Wednesday and Thursday. Funky Fox – With perhaps the biggest variety of music nights in Courchevel, there is no better place to continue après and dance into the small hours of the morning. They offer an affordable and tasty array of food to fuel you as you finish your afternoon après, before transforming as the night goes on and their dance floor fills up. From their famed ‘Bubble and Crisp’ DJ set on Sundays, to their Friday nights with a wide range of different musical styles, there is something for everyone at this iconic location. Located in Courchevel Moriond, it is well-known amongst locals, seasonnaires and those on holiday, ensuring an unbeatable atmosphere. During the day they offer live sports broadcasts and a pool table, if your legs need a day off from skiing! Nokken – This stylish club on the edge of Courchevel 1850 offers an injection of glamour into your holiday. 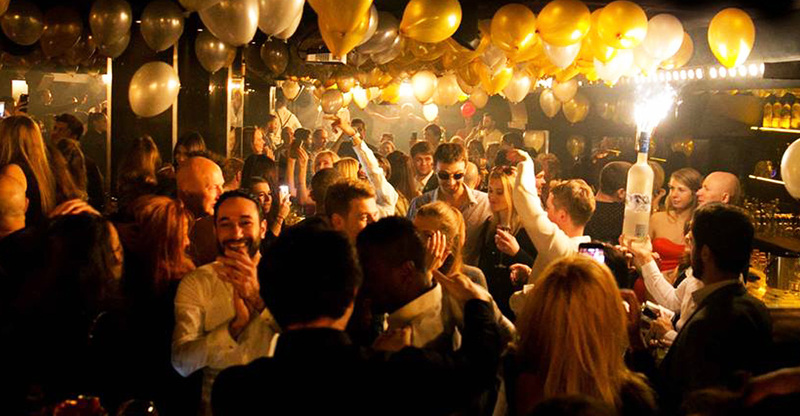 Formally known as Les Caves or L'ARC, this club opens its doors at midnight and shuts at 5am, ensuring the spirit of après can continue until the very end of the night. While a little pricier, Nokken provides an unforgettable night and certainly justifies its price.